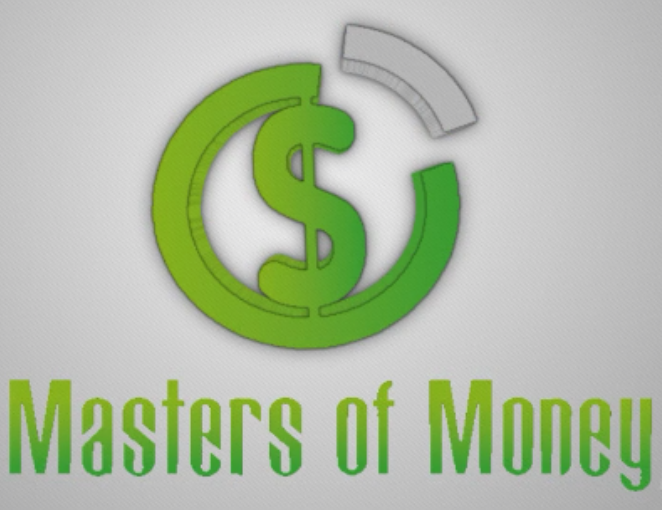 4 Ways To Master The #1 Success Secret Of Infopreneuring – The Official Website of Masters of Money, LLC. If you don’t have good fresh content to use for new products, your momentum comes to a crashing halt and so does your business. So, the question begs itself, how do you consistently create new content? 1. You can continually write your own materials…and you should. 2. You can record your thoughts and get them transcribed… and you should. 3. You can hire a ghostwriter to write materials for you… and you should. 4. You can purchase the rights to content that you can resell… and you should do this as well. Each option has its own positives and negatives. Writing you own original content is important because you don’t want to become dependent on other people’s thoughts. You want to train yourself to consistently think original thoughts and then capture them. People want fresh thinking. They don’t want the same old, same old. Setting aside regular periods to work on original content is a great habit to form because over a period of time you’ll have the necessary ingredients to continually crank out new products for your market. Just recently I started gathering all of the content that we have developed over the years. We had a massive advantage when it came to creating new products because he has been diligently working on creating new materials each and every year. When you have raw content, you can always create new things from it. Being disciplined to plan out time and record your thoughts is a fantastic habit to master and can instantly serve you today and well into the future. This falls under the same category of capturing your own original thoughts but it has one major advantage. it’s a lot easier to do. Most people forget that the transcripts are a valuable resource in product development. Your audience will have all kinds of different learning preferences. By providing the transcripts you are actually doing your clients a great service and as a result the transcripts instantly increase the value of your package. If you enjoyed this article make sure to look up the other two articles in the series coming soon dealing with the other 3 methods of creating content: Part 2 – Hiring a ghostwriter and Part 3 – Purchasing The Rights Of Content You Can Resell! If you don’t have good fresh content to use for new products, your momentum comes to a crashing halt and so does your business. So, the question begs itself, how do you consistently create new content? 4. You can purchase the rights to content that you can resell, and you should do this as well. Hiring a ghost writer has some major advantages and disadvantages. First and foremost, it takes a huge burden off your shoulders to create original content. Secondly it frees up a lot of your time. Third, it feels great when you get an email from your ghostwriter and the ebook/book/manual/article/articles are all complete and ready to go, it truly is the magic pill. There are some downsides, however. The first one is the cost. Depending on your project, it can cost anywhere between $400 – $3,000 to get an ebook, book or manual created. This is relatively cheap when you think about the fact that you can now sell that content and profit from it as long as you sell it, but it still costs quite a bit. The second major downside is the time it takes to communicate with the ghostwriter. If you are anything like me, you don’t want to be sending out crappy information. So that means you do have to involve yourself in the process. Forget what all the “gurus” try to tell you about how easy it is to just hire a ghostwriter and wake up with a finished product. First you send your initial thoughts and plans for what you want. Then they send back their outline, you make adjustments to it, and a few days later they send back the proof for the outline. Once the outline is completed you give the go-ahead and they write the rough draft. Obviously, this takes some time, usually between 1 week and 2 months depending on your project, but once they have completed the rough draft it’s up to you to read the rough draft and suggest any changes. You’ll want to go over the rough draft with a fine-tooth comb to prevent the writer from going in a direction you didn’t want. This isn’t any small task but it’s well worth the effort because you are ensuring that the product you are creating is of a high standard. When you finish the edit of the rough draft the ghostwriter makes the adjustments and then sends you a final draft. You read the final draft and give the final ok.
Now, if you care about the quality of the products you create please pay close attention to this next sentence. You need to actually read what the ghostwriter has created for you. It will almost always require you to make some final changes. Make sure you get exactly what you are looking for otherwise it’s a product that you yourself haven’t even completely read. Would that make you comfortable selling something with your name on it and you don’t know everything contained inside? I can’t tell you how many products I have purchased only to find it was the same old stuff just rehashed. Read what they write for you. Create quality content!! So although a ghostwriter does save you a tremendous amount of time, please don’t be fooled into thinking that once you hand over the assignment your work is done. It’s not… unless you want to create a crappy product. It still takes work but it’s a lot easier and takes WAY less time once you have the raw materials to work with. Your job is to polish that collection of raw ideas into the high quality product that would make even your Mom proud. If you enjoyed this article make sure to look up the other two articles in the series dealing with the other 3 methods of creating content: Part 1 – Writing your own materials and Recording Your Thoughts and coming soon, Part 3 – Purchasing The Rights Of Content You Can Resell! 2. You can record your thoughts and get them transcribed, and you should. 3. You can hire a ghostwriter to write materials for you, and you should. Purchasing the rights to content that has already been created can be a double edged sword, but, if you do it right, it can be very profitable for a number of reasons. First and foremost you want to review the “legal mumble jumble” to the materials that you have purchased. There are different “rights” and you need to be aware of the differences. I’ll give you a quick break down of the basic ones that I commonly come across for these types of products. A. Recording Rights: These usually grant you the rights to record the written material in your voice and sell the audio for whatever price you want. They do not give you the right to reprint the materials or transcribe your audio and resell that. C. Master Resell Rights: With master reprint rights you basically have permission to sell the content and you have the right to sell the reprint rights. However, you do not have permission to change the content at all. Once again make sure you read all the conditions yourself because every contract can be different. D. Private Label Reprint Rights: These are basically the granddaddy of them all. These rights allow you to change the content, rebrand them with your own logos, name, graphics, and turn around and resell the finished product. The only thing you don’t have permission to do is resell the private label reprint rights. So that’s a basic breakdown of the major categories of what you would get if you purchased the rights to any content. I do want to emphasize that I am not a lawyer and every agreement is unique and different. Therefore you need to read over all the legal stuff before you agree to purchase anything and then start reselling it. Well you can get access to good quality content that you can sell right away. Obviously if you purchase any of the rights, we just talked about you will want to read the content and make sure that it is a good quality product. You don t want to be reselling crappy products. Another advantage to this approach, specifically the private label resell rights, is you can use the content for a variety of different purposes. This is where the creative imagination really comes into play. 6. Use the ebook as a special bonus for an existing package that you have developed. These are just 10 quick tips for different ways that you can use this content once you have it. There really are all kinds of possibilities once you learn what you can do. So, purchasing these types of rights can be very beneficial in a variety of ways. So how much do these types of rights normally cost? Typically they are a one-time cost ranging anywhere from 10-15 times the retail value all the way up to 30-50 times the retail value. That means if the retail price of the product is $200 an average reprint license would be between $2,500-$3,000. For a master resell license of the same $200 product the cost would be somewhere between $5,000 – $10,000. Now that is a lot of money but remember you get to keep all the profits of any sales that you make from that point onwards. So, if you sold this $200 product at a seminar you could potentially make your money back very quickly.